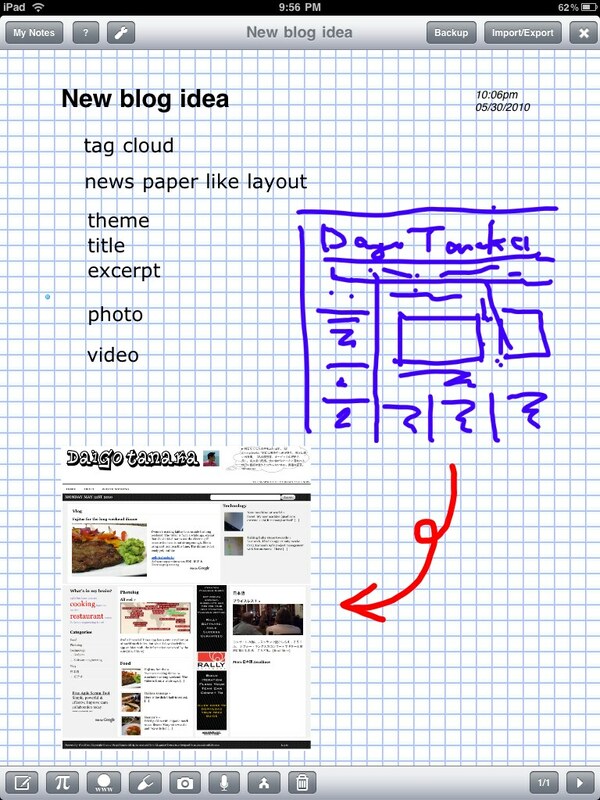 I have been searching note apps with a hand drawing feature on iPad app store. Omni Graffle looks promising but I am not yet ready to pay 50 bucks for an app. Sundry note is a free app, and so far it's doing the job though the new app needs some polishing. One big complaint I have about Sundry is that I have to email them in order to delete the file that was backed up to their server. This is a bit of privacy and data security concern, but the support responded me that they are working on it. So keep the high hope.